133 mins. Rated PG-13 for some fantasy action violence. Today, to honor the 19th Anniversary of The Battle of Hogwarts, we look back at the film Fantastic Beasts and Where to Find Them, a film that exists in the Wizarding World Cinematic Universe (yep, that happened) but takes place decades before Harry Potter was even born. 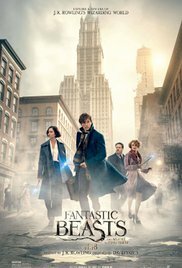 Newt Scamander (Eddie Redmayne, The Theory of Everything, Jupiter Ascending) has arrived in 1926 New York with a mysterious case full of amazing and exotic creatures, but when a tiny mix-up with aspiring baker Jacob Kowalski (Dan Fogler, TV’s Secrets and Lies, Kung Fu Panda) causes several of his fantastic beasts to be released upon the No-Maj (America’s term for Muggles) society. Now, it is up to Newt, Kowalski, and ex-auror Tina Goldstein (Katherine Waterston, Inherent Vice, Steve Jobs) to retrieve the missing creatures before they are discovered by the non-magical citizens of New York City. There are many things to love about Fantastic Beasts and Where to Find Them, but I have to start with the performances. 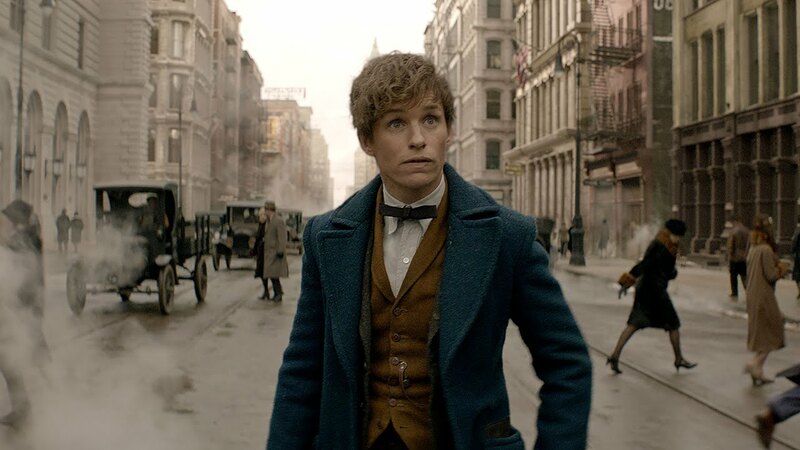 Eddie Redmayne absolutely disappears within his role as Newt and becomes the magi-zoologist with apparent ease, and his foil in Kowalski is expertly lovable and comedic due to Fogler’s performance. I was also blown away by Ezra Miller’s (We Need to Talk About Kevin, Suicide Squad) work as Credence Barebone, the adopted son of a religious zealot being manipulated by the sinister Auror Percival Graves (Colin Farrell, Phone Booth, Solace). There’s also some nice supporting work from Samantha Morton (TV’s Harlots, John Carter), Jon Voight (TV’s Ray Donovan, Mission: Impossible), and Ron Perlman (TV’s Hand of God, Hellboy). The collaboration between screenwriter J.K. Rowling and director David Yates (The Legend of Tarzan, The Girl in the Café), who has now directed five films in this franchise, is electric to say the least. 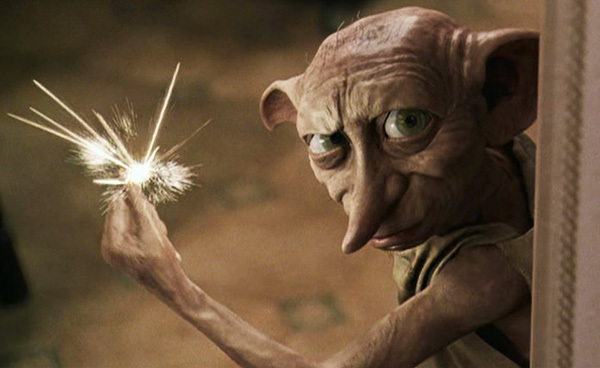 Yates has an understanding of how to treat the fans, and Rowling’s decision to use creatures hinted at in the books and previous films to further enhance the experience is something to dazzle at. For me, getting to see an actual Bowtruckle and Nifler, two creatures mentioned in novels but never put to film, was very exciting. I also would like to point out the excellent score in the film, courtesy of James Newton Howard. Howard is one of my favorite working film composers, and his work here is some of his best. When you compare the score of Fantastic Beasts and Where to Find Them to, say, something like Rogue One: A Star Wars Story, it is clear to see where one score outdid the other. Howard’s music entices us with callbacks to the original music, and when it does, it’s pitch perfect, but at the same time, he creates a plethora of new music to further guide this franchise into the future. As for issues, I felt like the New Salem Philanthropic Society felt a little rushed in their exposition. I would like to know more about them but they don’t get the full exposition needed to really consider them a threat. The same thing with Jon Voight’s character, Henry Shaw, and the secondary plot thread with him doesn’t really go anywhere. Finally, as for the twist (if you can call it that), it’s a little easy to spot, and I feel like there was a better way to do what was done at the end of the film. Thankfully, these problems only affect secondary characters and our main characters are more or less unaffected by them. Fantastic Beasts and Where to Find Them is an exquisite and sophisticated return to the Wizarding World of Harry Potter. Thanks to some clever callbacks to creatures and major plot points of the franchise like the Deathly Hallows, the film feels new but also honors what came before. It’s a clever film that will have something for everyone, as long as they are a Harry Potter fan. I don’t think this new entry will win over any new fans, but anyone who has taken the ride this long shouldn’t have any trouble going around again. 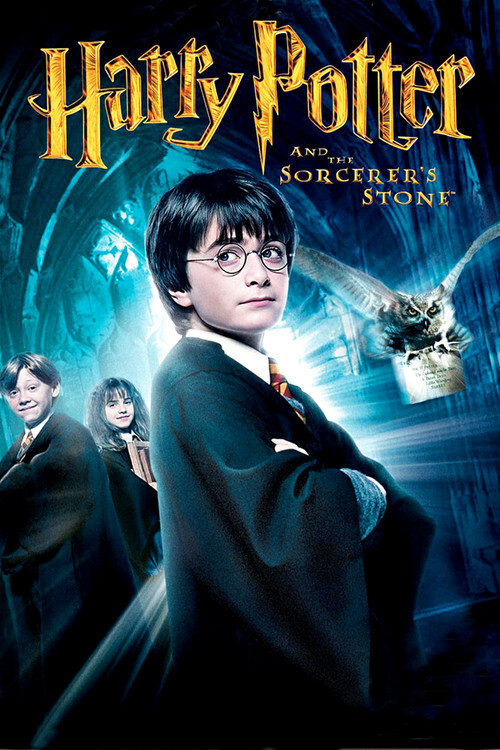 For my review of Chris Columbus’ Harry Potter and the Sorcerer’s Stone, click here. 152 mins. Rated PG for some scary moments and mild language. Harry Potter (Daniel Radcliffe, Trainwreck, Victor Frankenstein) doesn’t have a great life. His parents are dead. He lives with his dreadful Aunt Petunia (Fiona Shaw, The English Teacher, The Tree of Life) and Uncle Vernon (Richard Griffiths, Hugo, Pirates of the Caribbean: On Stranger Tides) in the closet beneath the staircase of their home. All that gets turned upside down when an onslaught of letters arrive at the home for Harry and a towering behemoth named Hagrid (Robbie Coltrane, Brave, Arthur Christmas) arrives to tell him that he is a wizard, just like his parents before him. 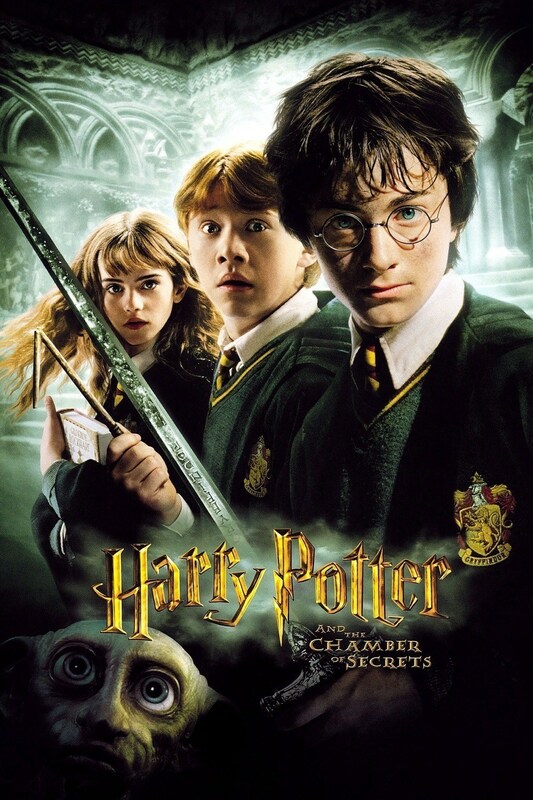 Harry’s world quickly changes around him as he discovers that he is a wizard of legend, is whisked off to Hogwarts School of Witchcraft and Wizardry, gains new friends in Ron Weasley (Rupert Grint, CBGB, Charlie Countryman) and Hermione Granger (Emma Watson, Regression, Noah), and learns of a new enemy in He-Who-Must-Not-Be-Named, a dark wizard with a terrifying connection to Harry. Harry Potter and the Sorcerer’s Stone had a hell of a task to accomplish. A film and series with this much scope had not been attempted in some time if ever. Director Chris Columbus (Pixels, Percy Jackson & the Olympians: The Lightning Thief) had a lot on his plate. So when I tell you that this first film in the eight film saga ranks as the seventh best, don’t let me stray you from my appreciation of it. Working with child actors isn’t easy, especially when you have so many. Columbus had been praised in the past for his ability to work with children and get the most from them. The three main stars were still pretty new to acting, and they don’t give bad work, but it is clear from later entries that they were to make leaps and strides as the series continued. 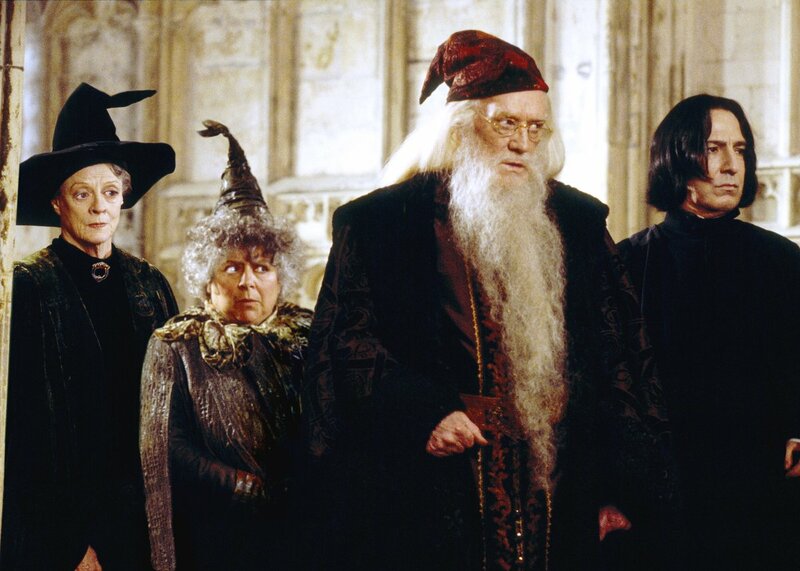 Thankfully, they are aided by a top notch supporting cast like John Cleese (A Fish Called Wanda, Planes), Richard Harris (Gladiator, The Count of Monte Cristo) and John Hurt (V for Vendetta, Hercules) to help add strength and impact to their scenes. The screenplay too had some difficulty in narrowing down exactly what was important. At the time of release, there were only four books published of the seven books planned. J.K. Rowling was very helpful in plotting out the series trajectory with Warner Bros., a fact that saved several plot holes through the filmmaking journey. Sadly, though, the film feels bloated at times and Columbus doesn’t direct it but merely meanders through it, spending too much time on trivial moments that slow the movie down. Columbus also looks back on the visual effects, which are rushed but not to the point of ruining the movie. He learned a lot about handling such a big budget and vowed to hone his visual effects for the follow-up (a fact that I laughed at when noting some of the other issues that the director seemed to have missed). 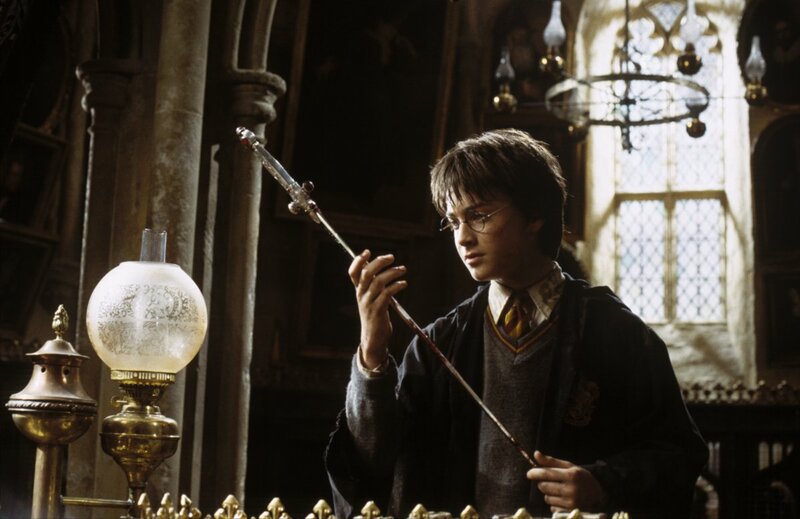 Still, Harry Potter and the Sorcerer’s Stone is looked on more critically because of how great the series would become by its end, and the film itself is a triumph in many ways, showing fans and newcomers alike that movies can still leave one with a sense of awe. I absolutely love watching this series and harbor no ill will towards its more humble beginnings, because it is still an enjoyable experience by all.